It’s 2019. A new year. A new season. A new effort. Part 2 – The Fear of the 200 I.M. After the 2017 FINA Masters World Championships, though disappointed at winning four silver medals and thereby failing to become World Champion, I was, after all, in the best swimming shape of my adult life. 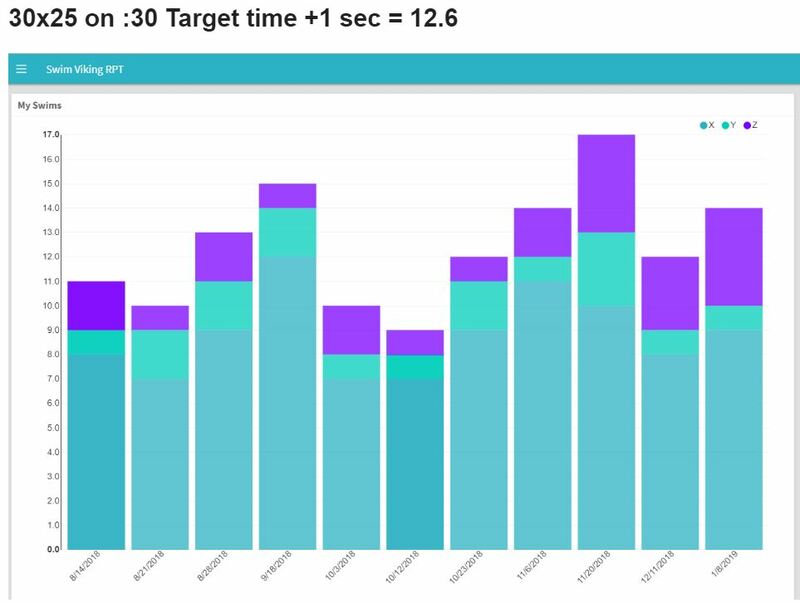 My only consolation was to use this fitness to finish out the year with the US Masters Swimming short course meters season, to see if I could end the year with a #1 world ranking and some possible national or world records. I extended my World Championships taper and quickly swam a short course meters meet in early September and then a second meet in November. Below are my results. Only my breaststroke events were personal bests, and my disappointing 100 Free at the Libertyville Masters meet really broke my spirit. So, I headed into 2018 on motivational fumes. However, I started the year with the honor of making the cover of the USMS 2018 Rule Book! I’m quite fortunate I didn’t get disqualified. I generate so much forward momentum and drive from my kick, that my feet tend to rise up at the end of my kick. I then have to drop them to start the next kick, so it looks like I am dolphin kicking in breaststroke! It’s not something I was even aware of until I watched the video. My time of 1:08.28 was not too far off my best time 0f 1:07.87 from World Championships. My favorite part of the meet, however, is getting to spend time with the world’s best swimmers. 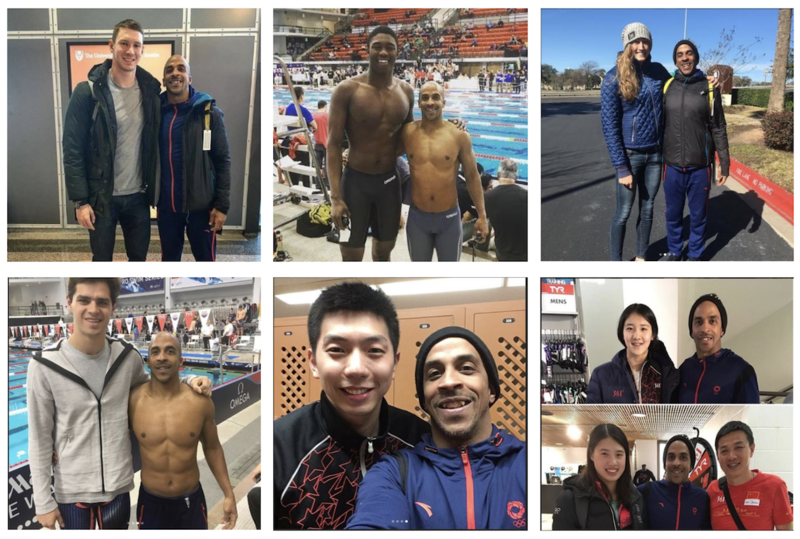 Below are pictures of me with US Olympic Gold Medalist and World Record Holder Ryan Murphy, US Olympian Breeja Larson, Swimming superstar Michael Andrews, and Chinese national team members Yan Zubei, Ai Yanhan and Zhang Yufei. After the TRY Pro Swim Series in January I got back into training for the USMS 2018 Spring Nationals. 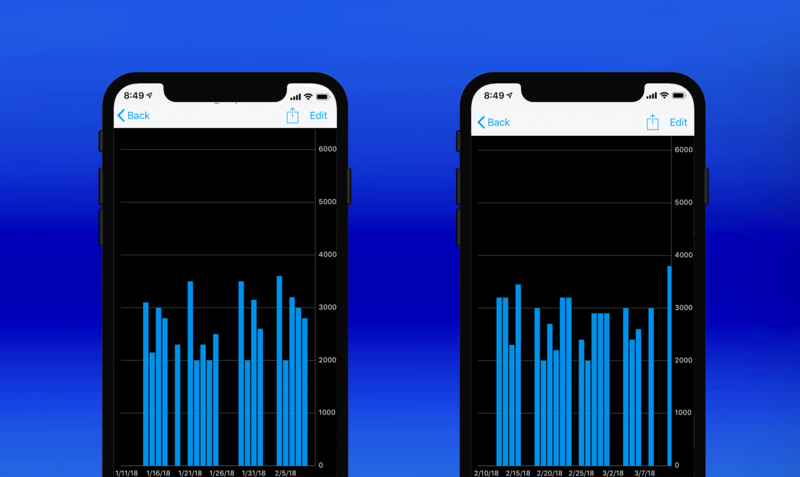 Here is my training volume for that period from January 13 to May 8, 2018. 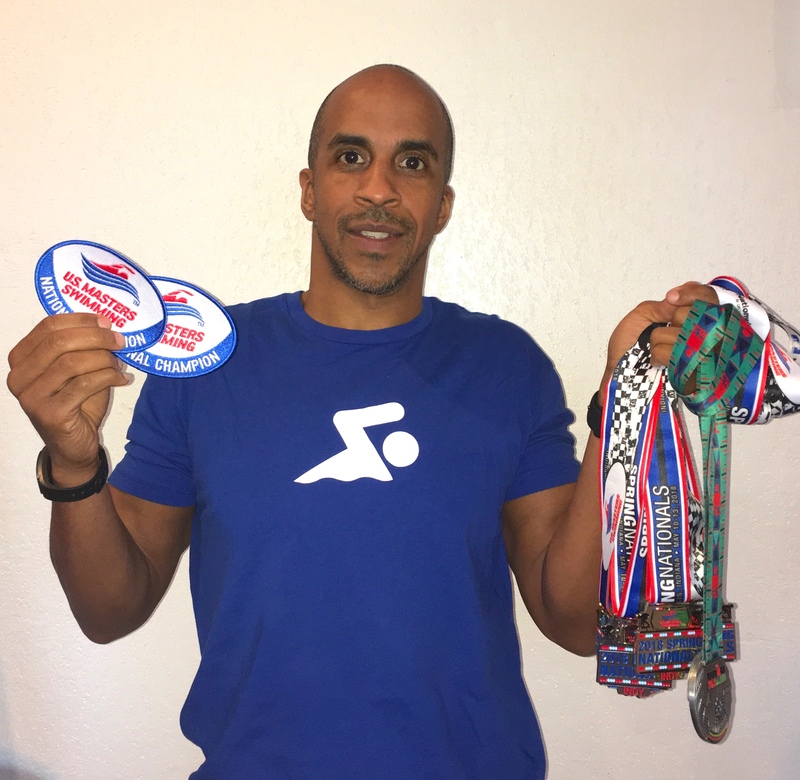 On March 31st, US Masters Swimming announced its All Star Award for the swimmers who achieved the most first place finishes in their age group and for the year 2017, and I had won for the Men 45-49 age group. 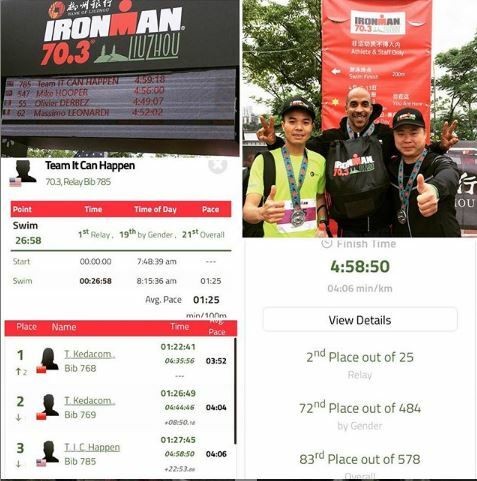 It just so happened that Lizhou was hosting an Ironman 70.3 while I was there, so just a few weeks before the event, I recruited a local cyclist and runner and we entered the relay competition as team “It Can Happen”. I was able to do a lot of open water swimming and tai chi training and our relay finished on the podium in second place. I finished the swim in 26:58, 21st overall. Eight days after returning from China, I competed at the 2018 USMS Spring Nationals. Not a great meet but I managed to win the 50 breaststroke and 100 yard freestyle and compete with USMS breaststroke legends Steve West and David Guthrie. After Spring Nationals, I was done. I had no desire to compete so I took a break. For the rest of May and June, I continued to get in the pool, but training was pretty easy. 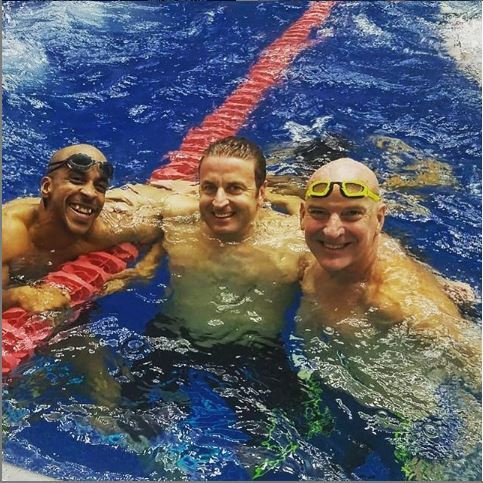 After learning that 5-time Olympic Medalist Josh Davis (now aged 45) went 20.99 in the 50 yard freestyle in March at the Speedo Sectional Championships in Columbia, MO after doing ultra short distance race pace training (USRPT), I called him and we discussed it. I decided I would give it a try and so in August I started doing the race pace training twice a week. Though my overall training volume decreased, I felt I was training in a way that was effective. 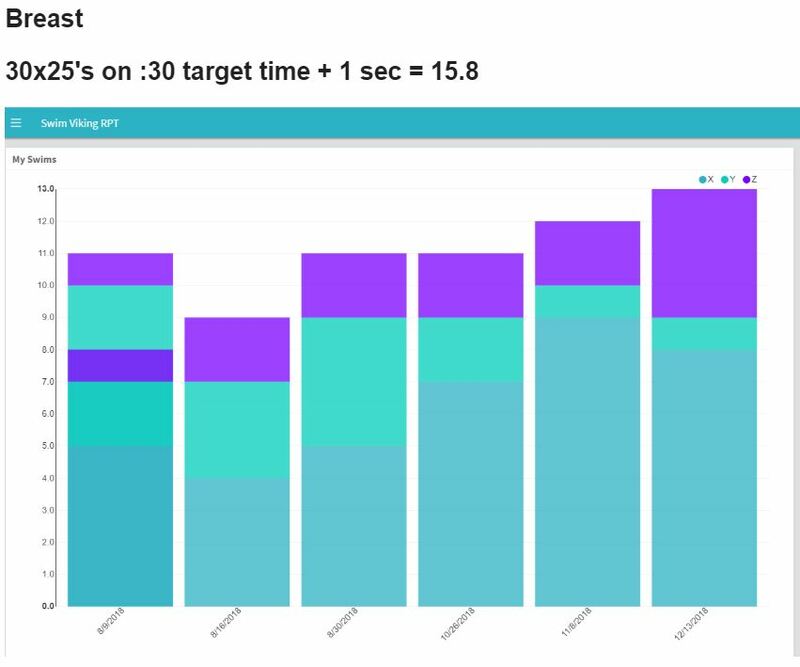 Shorter workouts and clear swim metrics made swimming a little more fun and gave me some focus for the workouts. As you can see, I have made progress. Nevertheless, I still struggled with motivation and swimming mental health which I wrote about in the 4th blog of this series. To start the new year, we did our annual 50×100’s in five sets of 10, descending from 1:40 on the first set to 1:20 on the fifth set. And then on January 8th, I did my first race pace set of the year. So, 2018 is over and done. There were some highs and some lows. But through it all, swimming kept me fit and healthy and gave me plenty of opportunities to learn, grow and meet people. 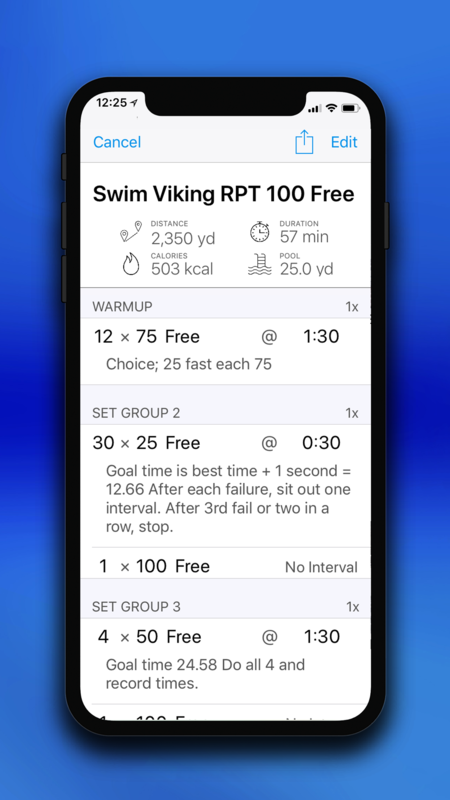 To get the most from your swim training decide each day why you are swimming. Are you going to the pool to prepare for competition? For fun? For fitness? For mental health? For social activity? Being clear about why you are “there” can put you in the right mindset. Use test sets to determine your fitness and progress. Doing the same set once a month or every other month is a great way to assess your training. Use fins to make it fun! There are just some days when you might not feel all that good physically or mentally. That’s a good time to use fins. They help you swim fast with a little less effort, which can boost your morale. Fins are also very good for developing stronger underwater dolphin kicks. They even give me the courage to do more butterfly! 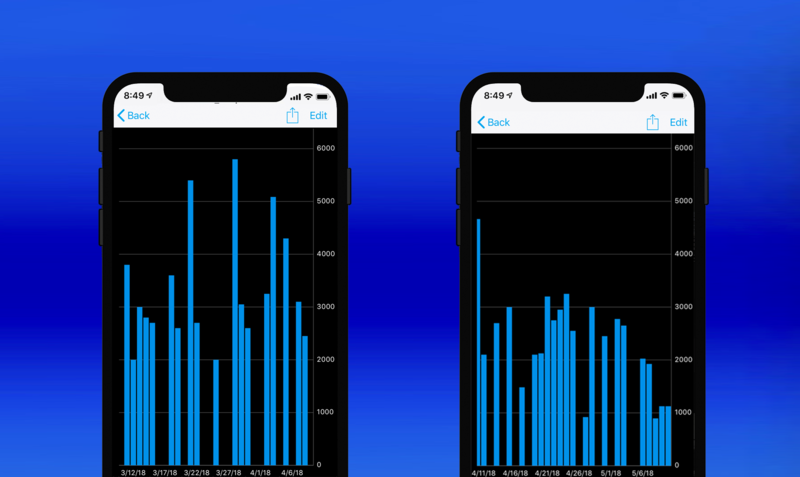 I’ve logged 309 workouts, 449.2 miles and 267.5 hours of swimming on MySwimPro. No matter what pool, what stroke or what training system, I have been able to document my swimming and collect data. 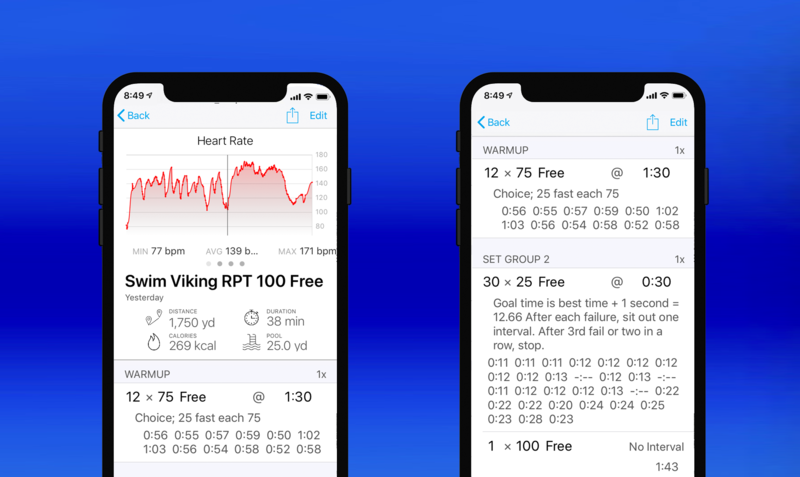 This is what makes MySwimPro so valuable to me as a competitive swimmer. 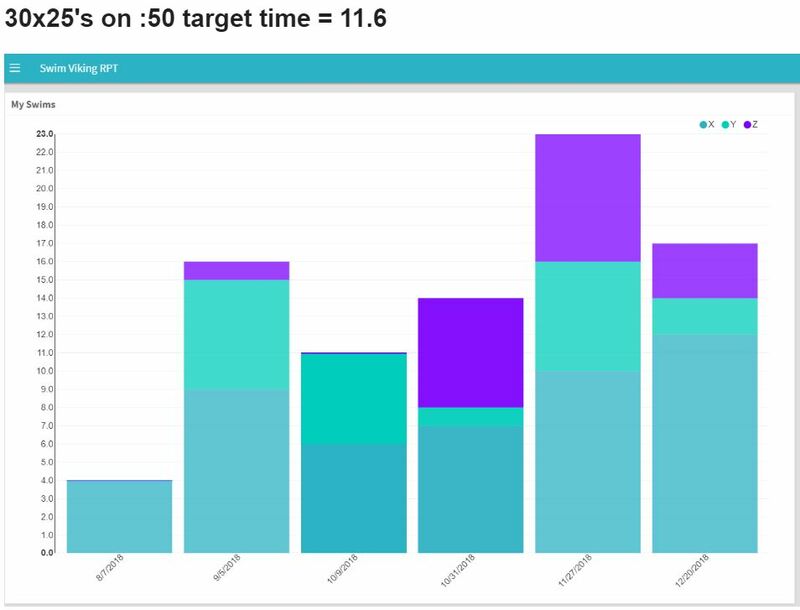 I will continue to add to my totals in 2019, swim some more races, and figure out even better ways to use all the data to swim faster. 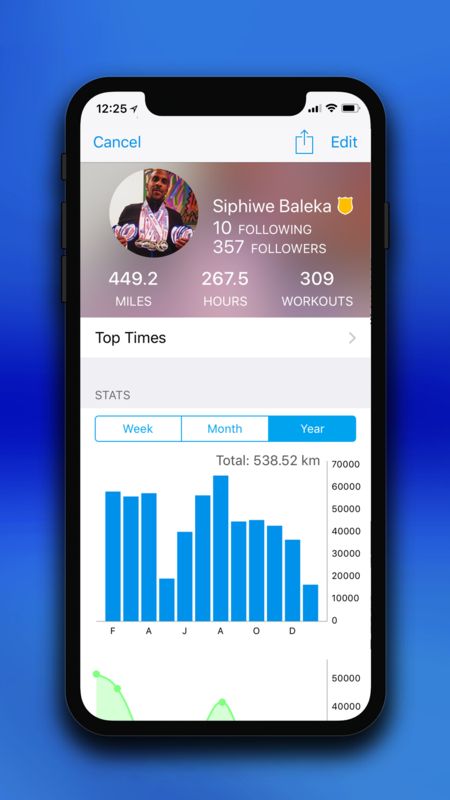 We are proud to welcome Siphiwe as a MySwimPro Ambassador. 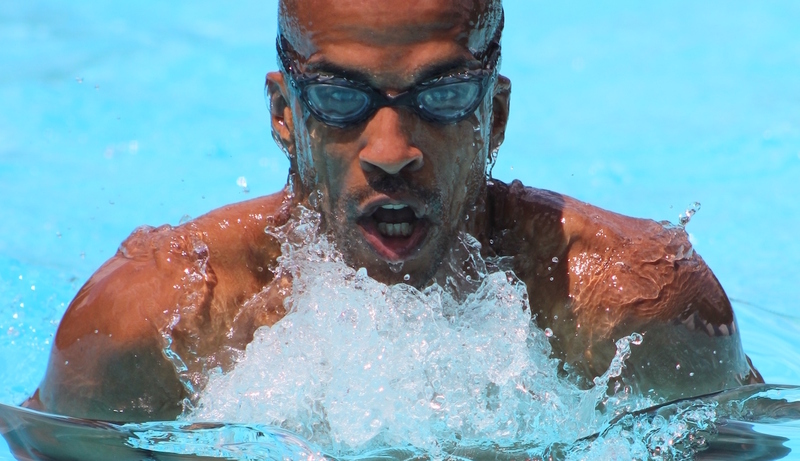 He has transformed his life through swimming and is passionate about helping others achieve their fitness goals. His story has been featured in Men’s Health, Sports Illustrated, Fox Sports , The Atlantic , The Huffington Post, Guideposts, CNN, BBC, NPR and countless other national and international media and his swimming career has been noted on SwimSwam.com.  Archived in Gold Medal Moments, Technique & Training. Bookmark the permalink.